‘Industry 4.0’, ‘fourth industrial revolution’, ‘smart factories’. These - for many, abstract concepts - have gradually crept into the language of entrepreneurs and policy makers. If you are interested in the manufacturing industry or in the CNC sector, then you certainly will have already come across them. But do you know exactly what it means? We’ll be happy to help you get started. The German government launched ‘Industry 4.0’ at the beginning of this decade in response to the tremendous decline in the secondary sector. Many other countries, including Belgium, followed in the wake of our eastern neighbours and started their own projects to support industry. Simply put: Industry 4.0 refers to the fusion of the digital world and industry. Some even speak of the fourth industrial revolution. The businesses of the (near) future - the so-called 'smart factories' - are characterized by a higher level of digitalization, wherein all machines of the production process are connected to each other and mutually communicate. 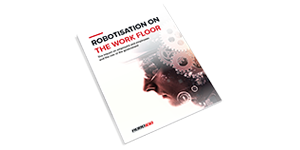 An example: milling machines will no longer be loaded by workers, but by smart robots. And if the robot needs a new stock of material, it lets that be known. The advantages of these innovations are numerous: higher efficiency, productivity and flexibility, which in turn lead to cost savings, higher returns and increased job satisfaction for the operators. They can increasingly apply themselves to the creative part of the job, while the machines and robots take on the repetitive, physical part. Who can say no to that? Opponents shout from the roof tops that this is at the expense of employment. But that's only half the truth. Indeed, certain jobs will disappear, but there will be at least as many new ones in their place. After all, people will still be needed in the companies, but they will be performing other, more creative tasks. The robots take over the routine or just the very hazardous tasks. People are currently focusing on, for example, the design of new products, improved production processes or general monitoring of the fully automated production line. That Industry 4.0 is the route to follow is beyond dispute. But you might think: how do you put that into practice? This is where RoboJob comes into the picture. Our specialty is to guide you on your path towards Industry 4.0. Together with you, we look at how you operate, how much you produce, what products you manufacture, what tasks are needed for this and so on. On the basis of all this information, we propose an approach which we are convinced will help you in time to produce the same (or even more) with less cost, greater efficiency and thus extra returns. You’ll notice, thanks to RoboJob, that a new wind will blow through your company and before you know it, you’re in the centre of the future. A future managed and determined by Industry 4.0. 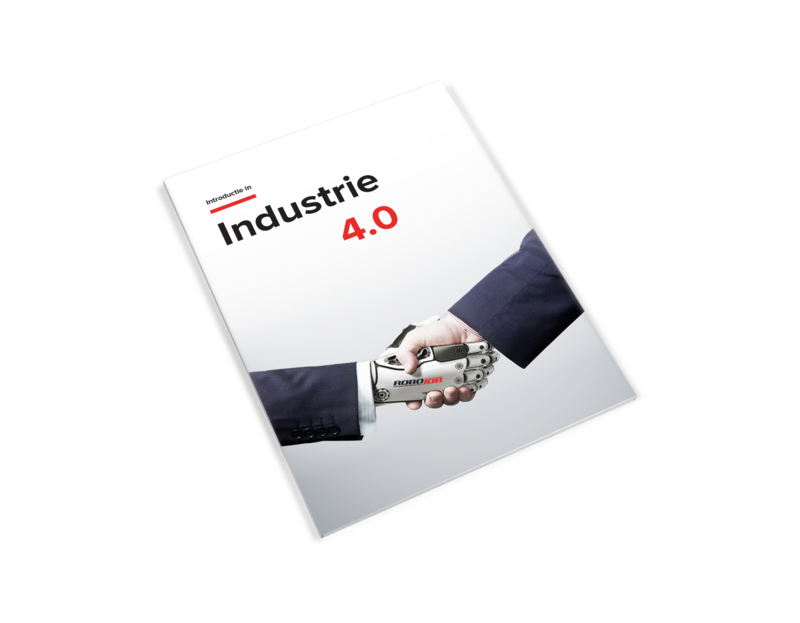 Would you like to know more about Industry 4.0 and its benefits? Then definitely download our white paper. Or would you like to know how RoboJob can help you? Then please feel free to contact us. 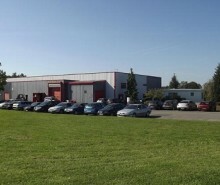 Read the success stories of our customers.